One of the most popular GTK2 themes Orta has been finally ported to GTK3 by rebek94. The theme has been designed to match closely the original Orta look. It currently lacks customization tools/options that came with original Orta GTK2. However it looks pretty cool with Faenza Icon set. 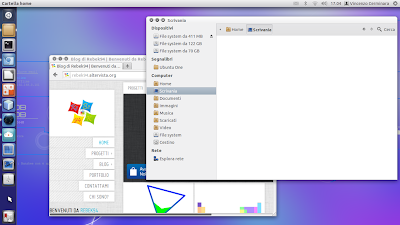 Orta GTK3 also uses Orion GTK3 theme by Satya. I have found couple of minor issues with the theme. However, this being first release, I am sure it will be improved overtime.